Taking the heat off Blake Green was Chanel Harris-Tavita's primary task on NRL debut for the Warriors. He earned a pass mark in the 26-10 win over Gold Coast in Auckland but can expect the same message to resonate even louder when the Kiwi outfit face South Sydney next week. Veteran halfback Green was constantly pressured when kicking on Friday, including one late dive at the legs from Moeaki Fotuaika which will be assessed by the match review committee. "This was ugly. This was really, really ugly from Fotuaika," Fox League commentator Michael Ennis said. 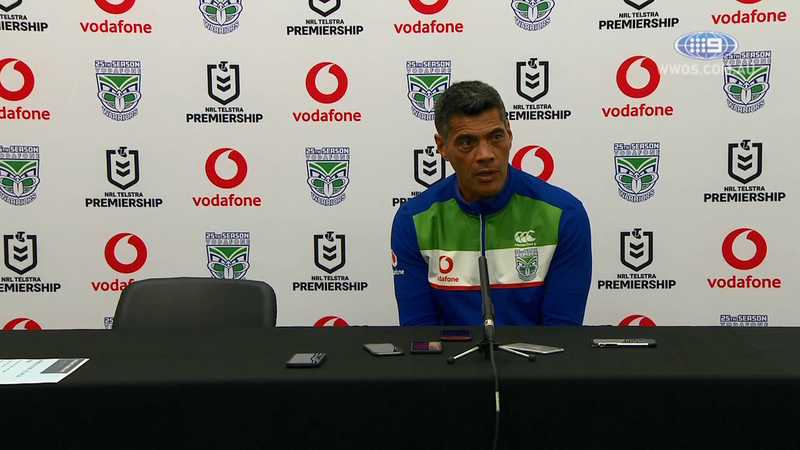 Coach Stephen Kearney said the NRL needs to ensure playmakers are protected, encouraged that similar incidents in earlier rounds had resulted in bans for Brisbane's Matt Lodge and Manly's Addin Fonua-Blake. However, Kearney conceded the Warriors could do more themselves to protect their influential No.7 by mixing up kicking options. Green kicked for 350m while Harris-Tavita accounted for 146m, the latter looking composed when called on. "It's probably something that we need to do a bit better," Kearney said. "Greeny, obviously a lot of the teams are going after him (so) we'll make a couple of adjustments. Particularly early in the game, we can take a bit of heat off Greeny." Kearney had dropped five-eighth Adam Keighran primarily because he wasn't involved enough. Harris-Tavita's greater contribution freed up Green, who laid on two of the Warriors four tries through clever passes and pulled the strings on most attacking raids. On Thursday night, Tevita Pangai Junior copped a heap of criticism and was placed on report after a shocking late hit on Cooper Cronk that Andrew Johns called a 'dog shot'. “It’s a dead-set cheap shot,” Johns said on Nine’s commentary. “We’ve got to get this out of the game we keep talking about it. “Cronk lets the ball go, and he hits him in the back. I think that should be a sin bin – it’s a cheap shot! NRL legend Paul Vautin agreed that Pangai Junior's tackle crossed a line. “I don’t think you half-backs should be allowed to play in a dinner suit but that’s illegal, and that’s wrong,” Vautin said.